Filippo Brunelleschi, born in 1377 to Brunellesco di Lippo and Giuliana Spini rose to fame as a renowned architect and engineer belonging to the Italian Renaissance. Though his education was emphasized mostly on mathematics and literature, Brunelleschi interest was more inclined towards an artistic career. He joined Arte Della Seta (the silk merchants Guild) and became a master goldsmith in 1398. The conversion of Brunelleschi from goldsmith to architect is not known in much detail but what we do know is that his architectural works were refined and detailed. His major works include the dome of the Cathedral of Santa Maria del Fiore, known as the ‘Duomo’ in Florence. Using the ‘Corinthian’ order, Brunelleschi ensured that the ornamental features in his buildings were cut in a very crisp way. Other notable structures designed by him are the Pazzi chapel (1429-1467), the ‘Ridolfi’ chapel and the ‘Barbadori’ chapel in Santa Trinita. The ‘Basillisca of San Lorenzo and Santo Spirito are also landmarks of the Renaissance architecture. The ‘Ospedale degli Innocenti’ (the Foundling Hospital) which Brunelleschi initiated was built on Classical styles in 1419 is considered to be the first Renaissance building. Brunelleschi excelled not only as an architect but a brilliant mathematician who invented the principles of linear perspective with the use of mirrors around 1415. The use of Linear perspective became widespread in Western Europe along with Italy and soon it was a common practice all over the artistic world. Brunelleschi invention came into being when he constructed two paneled painting demonstrating geometrical optical linear perspective in 1400. 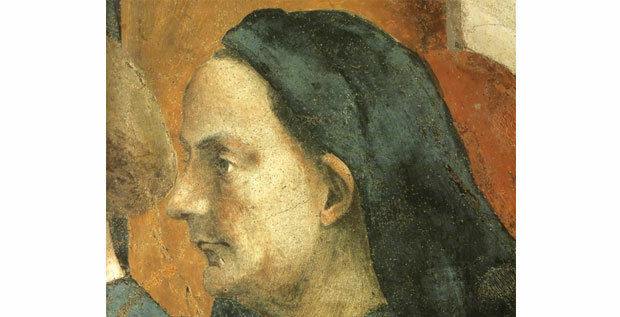 Brunelleschi is responsible for revolutionizing painting and letting naturalistic styles to progress. Although most of the paintings have been lost the ‘Trinity’ fresco still remains, displayed in Santa Maria Novella, Florence. The principles it was painted on by Massacio in 1425 are quoted by authors JV Field, R Lunard and T B Settle, The perspective scheme of Masaccio’s Trinity fresco, Nuncius Ann. Storia Sci. 4 (2) (1989), 31-118. Brunelleschi was also greatly interested in making mechanical expedients such as wheels, gears, clocks and other such devices. Using his skill set which was mathematical skill along with his adept knowledge and experience of architecture and understanding of automatic devices he proposed a design of the cathedral dome built using machines that would aid in the construction. He also used to design machinery specifically for churches. The purpose of these machines was to assist in theatrical religious performances re-enacting Biblical incidences. He made characters and angels fly in the sky during firework display which was a very unique concept at that that time.